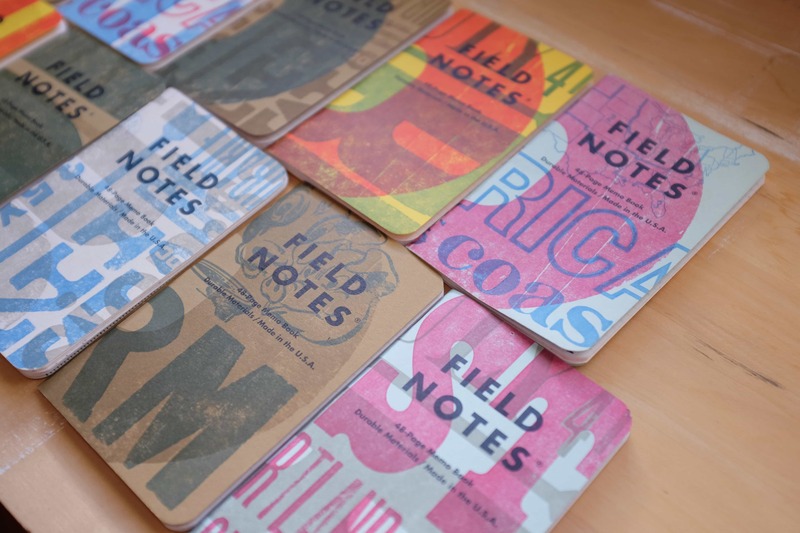 There's no telling where Field Notes Brand will go in the next year. No matter what they do though, it's safe to say that it'll be useful, unique, and very creative. 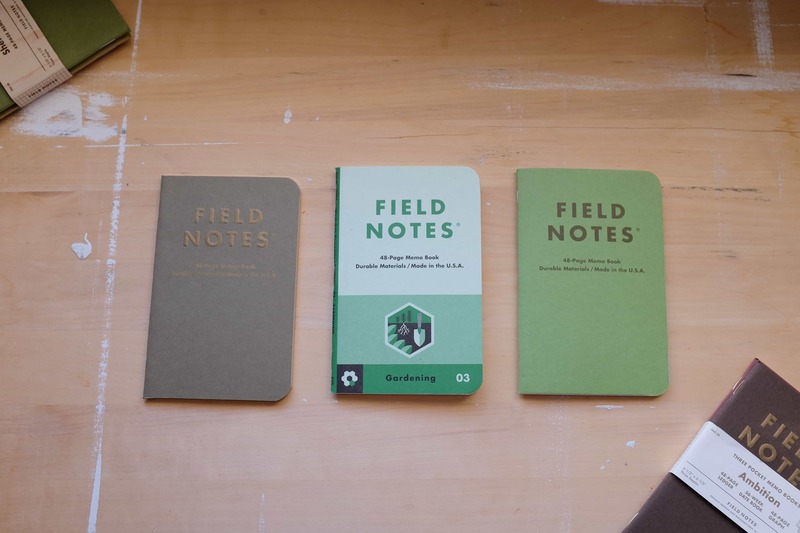 The Field Notes COLORS subscription isn’t like any other product we’ve reviewed on Tools & Toys in the past. The subscription isn’t a single physical item, but an experience. 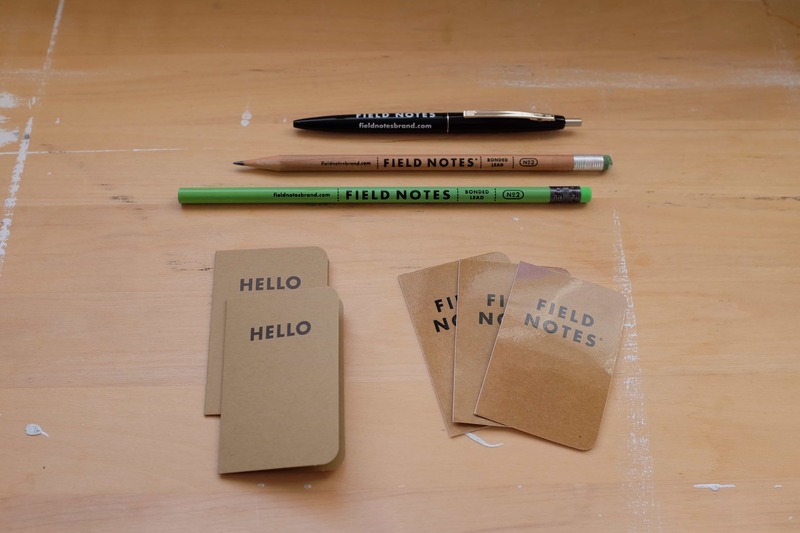 What is a Field Notes COLORS subscription? What do people use these memo books for? Is the subscription a good value? Over the last year, these little memo books have been some of my favorite tools to use on a daily basis. They’re fun, creative tools to use, and the COLORS Subscription is the best way I’ve found to get them. 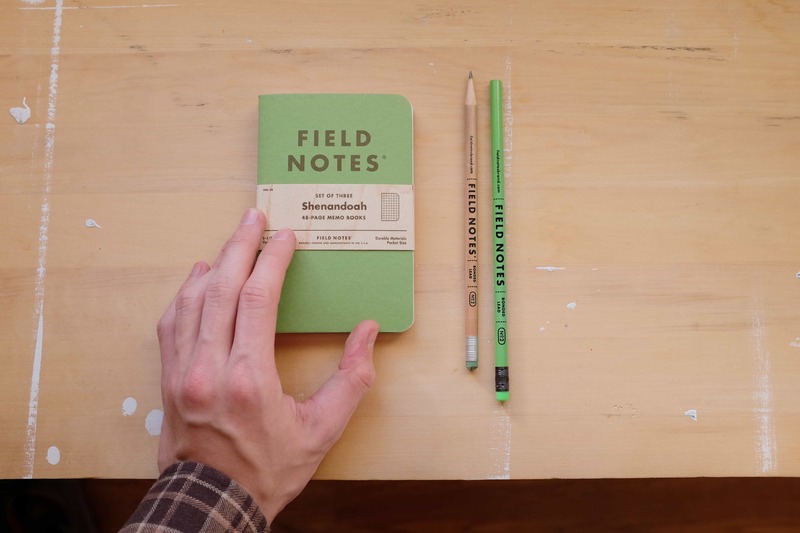 A Field Notes COLORS subscription provides a wide variety of stylish memo books, pencils, pens, and neat bits and bobs for a standard $97 per year. 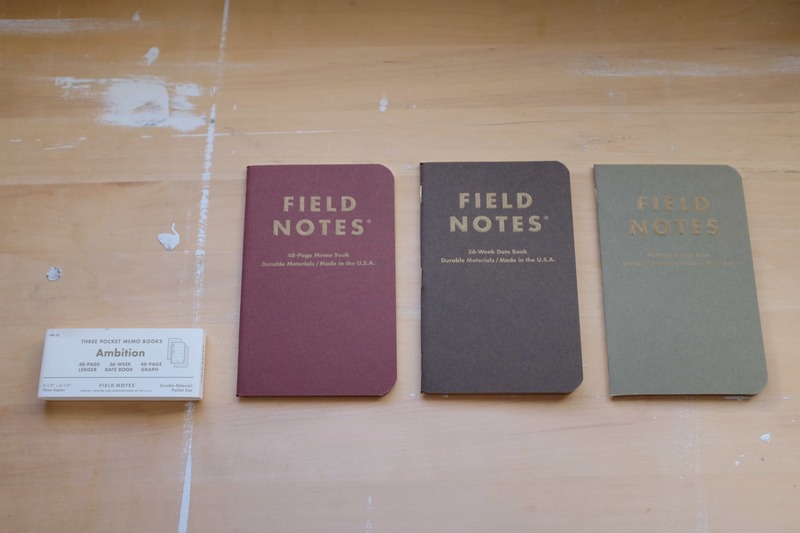 Field Notes Brand has released a wide variety of styles over seven years of COLORS releases. 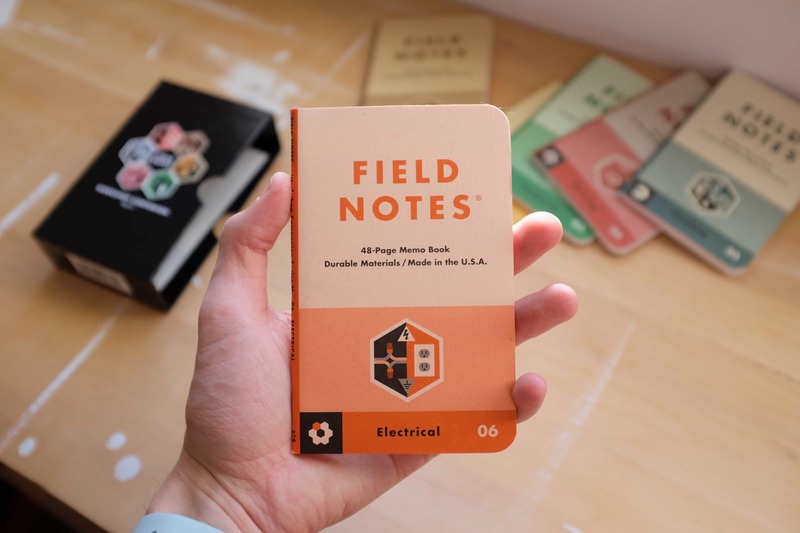 Field Notes Brand started the COLORS Subscription seven years ago after their first several memo book offerings were a hit online, and before long they had a runaway hit on their hands. A single memo book from the Workshop Companion edition on the left and the Two Rivers edition on the right. Since then there have been 27 seasonal COLORS releases to date — each a limited run and available essentially for the season they’re released in. With some of the older memo books becoming increasingly rare, some of the old editions have become major collectors’ items online among fans. One of these fan groups — known as “Field Nuts” — even has a Facebook page to stay on top of rare opportunities to purchase old editions. 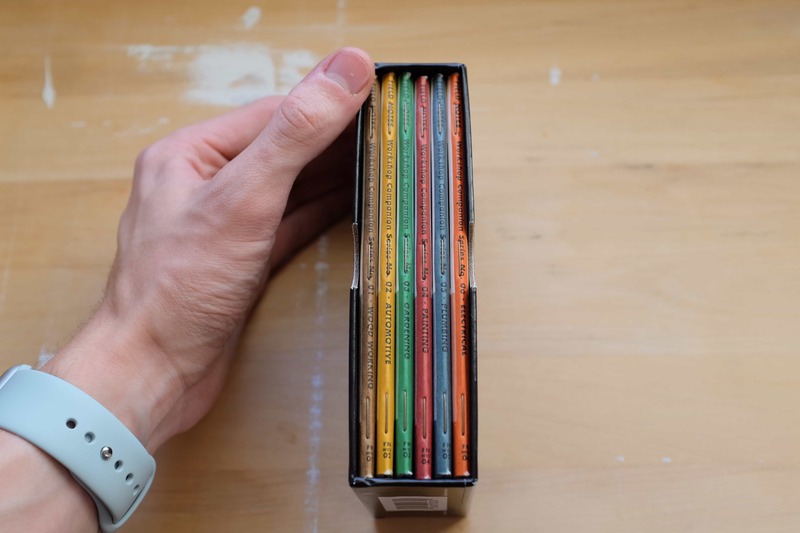 No two COLORS editions are the same, instead opting for unique papers, covers, colors, and rulings. 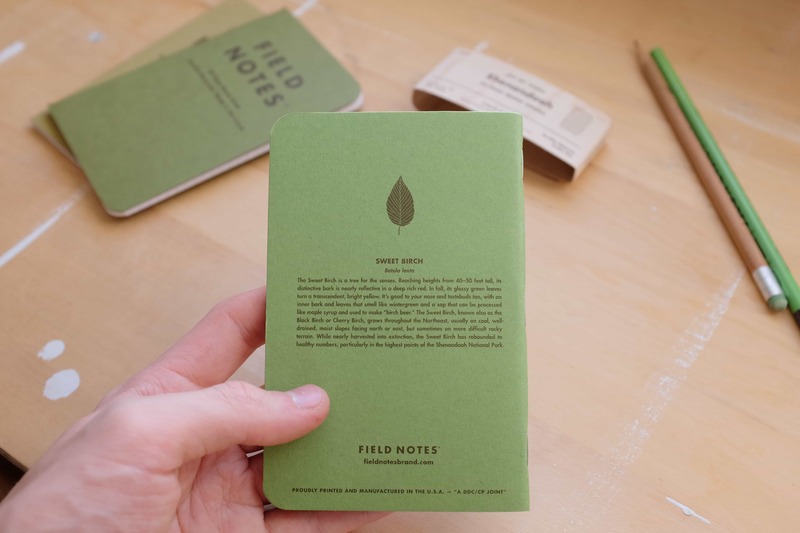 It’s been a mostly organic success from the start, but Field Notes Brand have proven over the past several years that they have the creative spark and manufacturing know-how to keep the magic alive. Because every Field Notes COLORS release is different – and unknown to buyers beforehand – it’s nearly impossible to predict exactly what you’ll have delivered to your front door in the next year if you subscribed today. To give a general idea, I’ll draw on my own experience. It was around this time last year when I first began following Field Notes and I’ve been keeping up with every release since. We can use the past year’s releases for our “case study” instead. 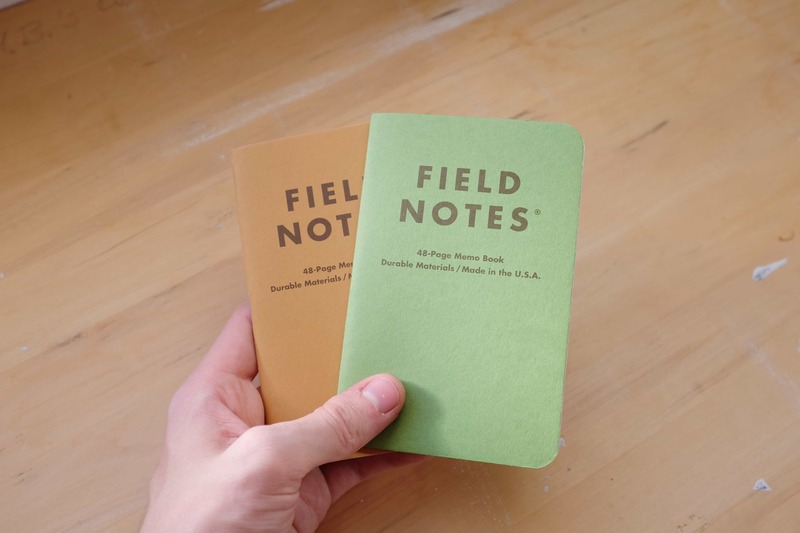 The first shipment of your COLORS subscription includes two three-packs of Field Notes Brand’s standard “kraft” editions. 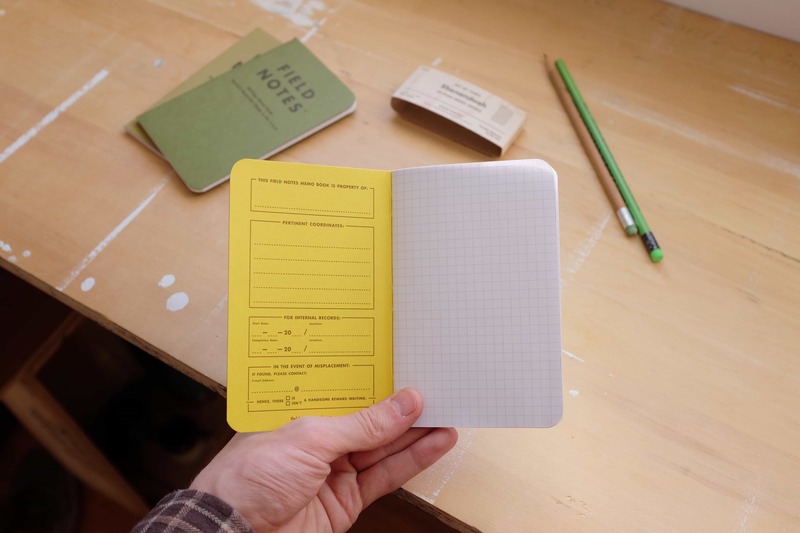 No matter when you purchase your COLORS subscription, your first shipment will also come with two three-packs of Field Notes Brand’s original Kraft books. Kraft books have simple brown covers with dark brown titles, brown-ruled graph paper on the inside, and Field Notes’ classic rounded corners. Kraft books are the ones that started it all. 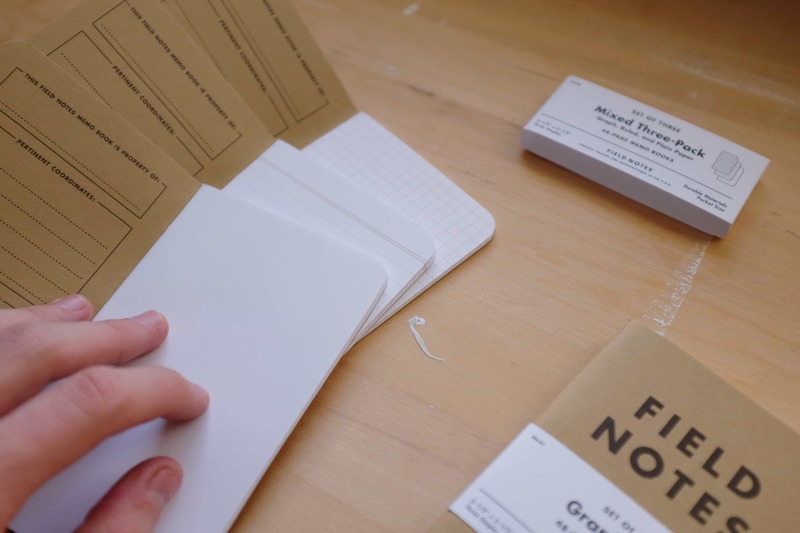 They’re not flashy, but they are the quintessential Field Notes experience: a small book with a simple design and a little character sprinkled around the edges, waiting to be filled with your musing. The mixed three-pack comes with a graph paper book, a lined book, and a blank book. The subscription will net you one three pack of the original graph ruling and another mixed three pack with graph, lined, and blank rulings in the three books. Winter 2014’s COLORS release was Ambition edition. 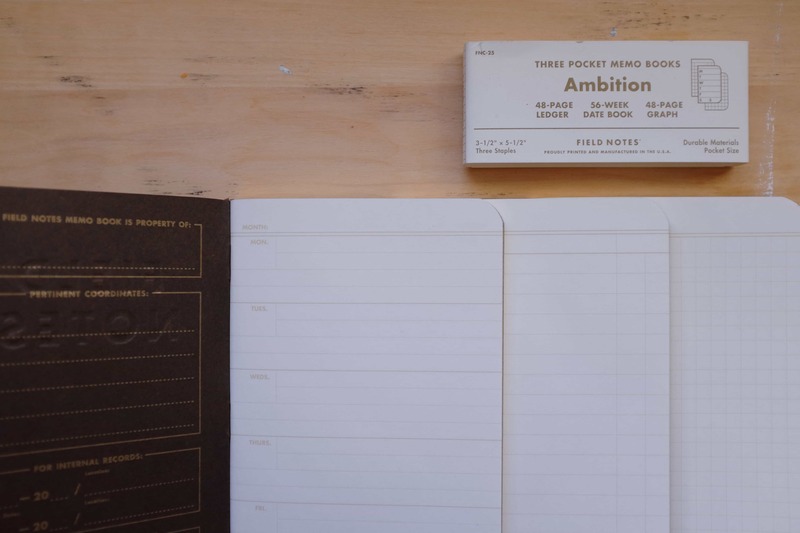 Ambition came with three classic, more subdued colors, embossed titles, and gilded paper edges. 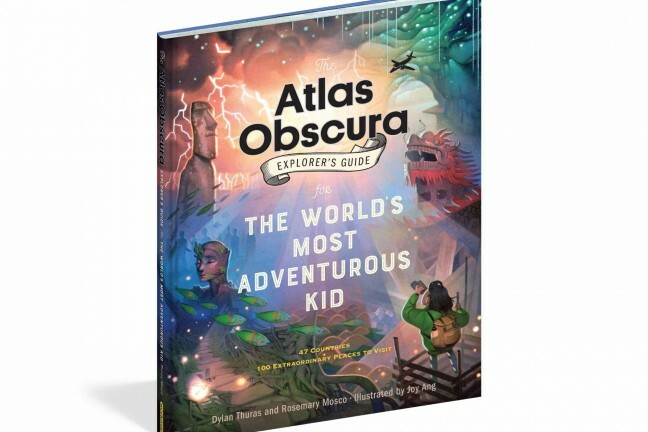 Alongside the Kraft books comes the actual COLORS special edition. For Winter 2014, Field Notes Brand released the Ambition edition. Ambition brought a return to a more classic solid-color memo book, but also pioneered several new things itself. 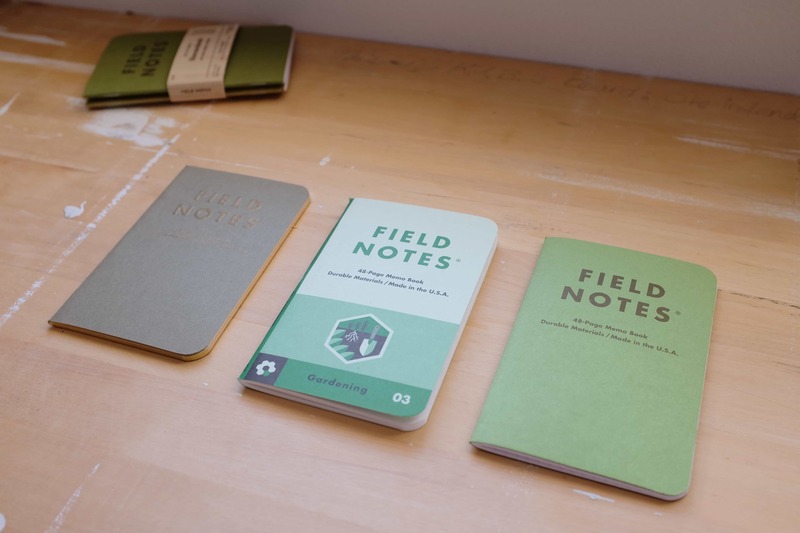 Field Notes Brand shipped a 56-week calendar, a ledger book, and a non-classic graph book. As a special edition, Ambition’s biggest feature was each book’s special ruling. For the first time in Field Notes history, each three pack came with one 56-week calendar book, one ledger ruling, and a titled graph ruling. Field Notes Brand also made sure to make the books stand out visually with three gorgeous holiday colors, an embossed title, and gilded edges — a bunch of firsts for the special editions. Ambition’s gilded edges crack and pop when they are bent for the first time, making cracking open a new pack of Ambition a delightful experience. Not every Field Notes fan found themselves using all three of the rulings in Ambition (you can still find a lot more Calendars for sale online than any of the other two books), but the edition still made a good impression. They were gorgeous, they made great gifts, and they were something new with a lot of the features that allowed the memo books to become popular in the first place. 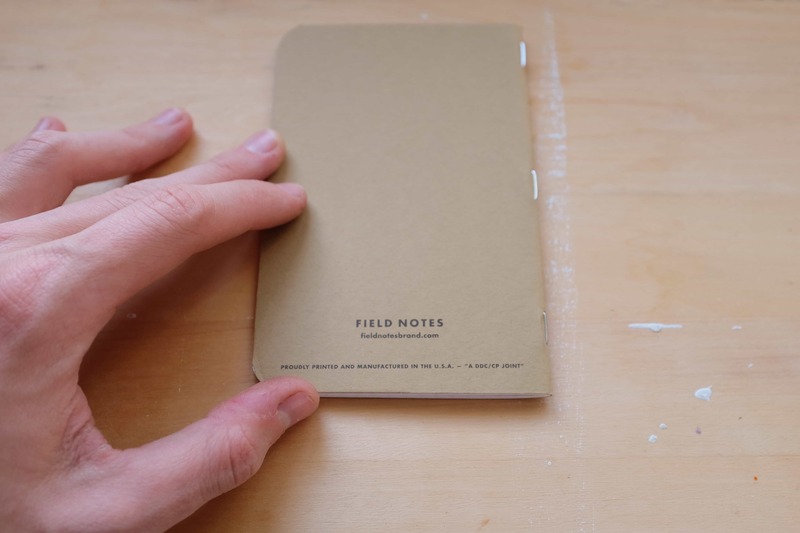 Overall, Field Notes Brand had used a tried and true recipe with a few new ingredients for a solid edition. 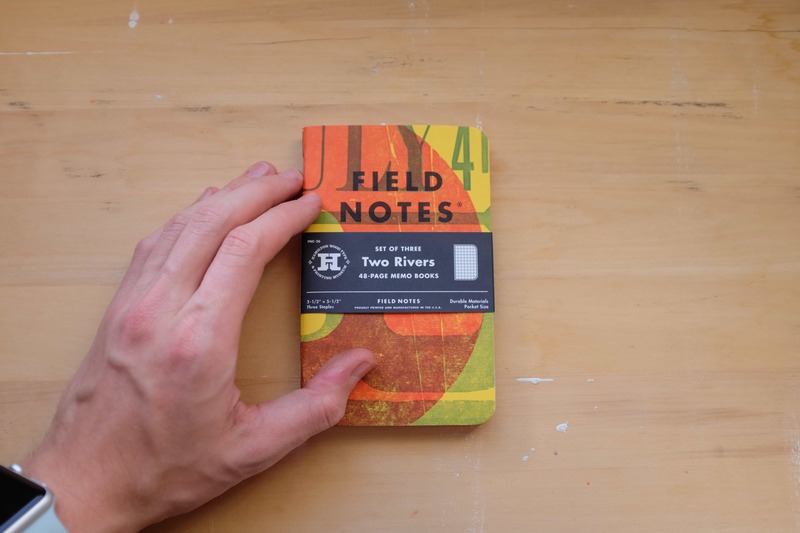 Spring 2015’s Two Rivers edition could be the most unique edition ever printed by Field Notes Brand. Spring of 2015 brought another unique release in the Two Rivers edition. 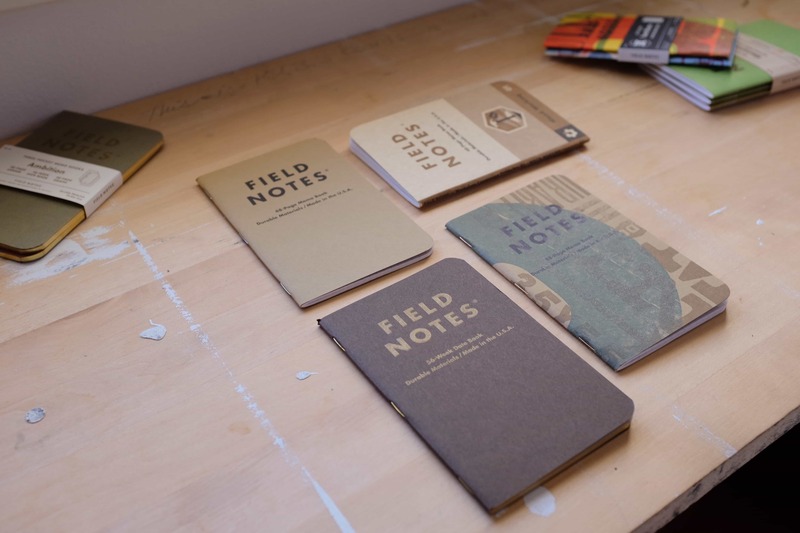 Field Notes worked with the folks at the Hamilton Wood & Type printing museum to create the brand’s first wood-type printed books and to give back to the museum in the process. Each three-pack purchased pitched some money back to the Hamilton landmark. Each wood-type printed book is entirely unique, meaning collectors will never be able to fully collect every style of Field Notes COLORS book printed. While it might have been the same stock and ruling on the inside as a classic Kraft memo book, Two Rivers’ exterior was anything but normal. Four base colors had a random combination of wood-type designs printed atop them, with those prints themselves coming in a host of various ink colors. The sum total was thousands of different design combinations, and, when you considered the analog nature of wood-type printing, it added up so every Two Rivers book was a unique specimen unto itself. A portion of the proceeds from each Two Rivers sale was sent back to the Hamilton Wood & Type printing museum. 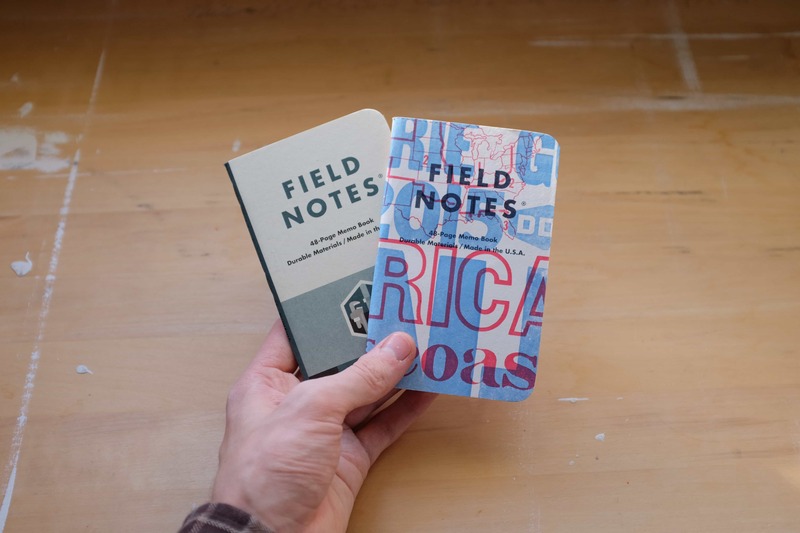 The idea and printing techniques were definitely unique, and it’s admirable that Field Notes Brand was able to pull it off at all. 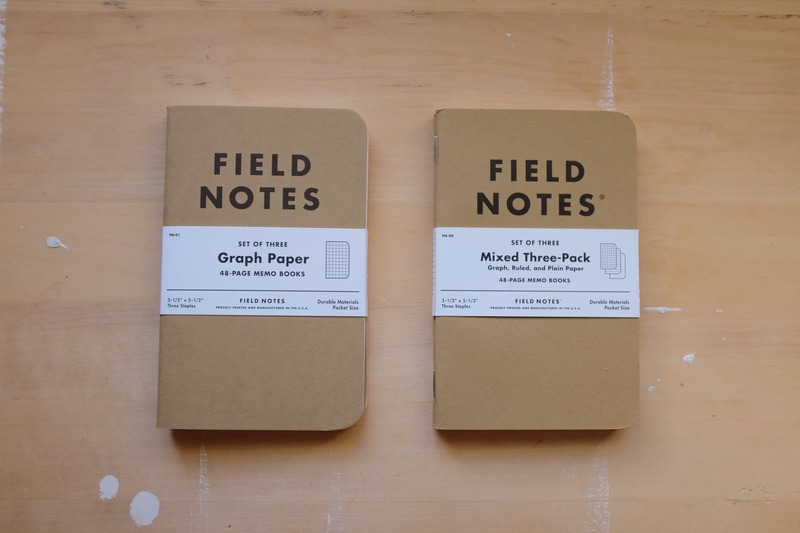 I personally find myself liking some of Field Notes’ more minimal designs, but there’s no denying Two Rivers’ aesthetic. With many giving it the thumbs up and some even declaring it as being their perfect book, it’s safe to say that Two Rivers was well received. It remains one of the series’ more unique visual designs to this day. The “Electrical” themed Workshop Companion COLORS memo book from Summer 2015. Continuing the trend of unique visual designs was one of Field Notes Brand’s rare six-book editions this past summer. 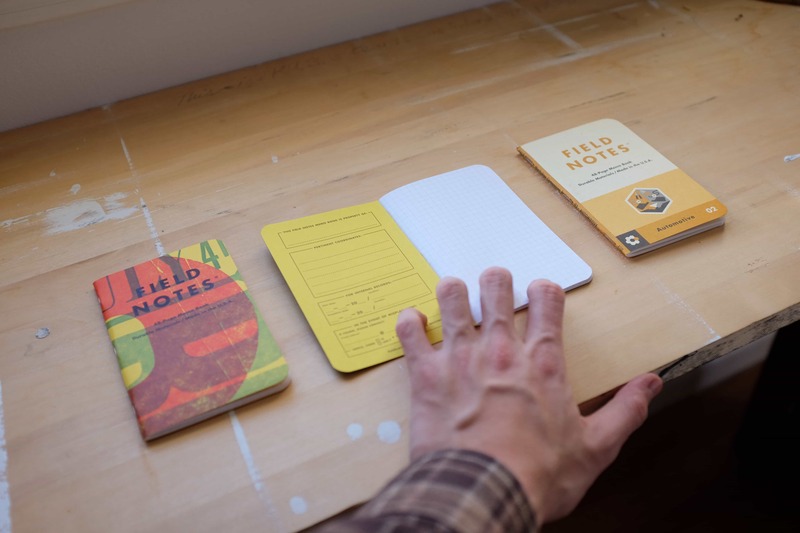 Workshop Companion featured an overarching home-improvement theme, bold new design directions, and the highest quality materials to date in a Field Notes book. Along with a COLORS subscription comes an assortment of extra doodads, like this cardboard box for the entire Workshop Companion edition. Each Workshop Companion book sported one area of home-improvement on its cover, accompanied by one of six graphic logos created for the edition. Each book was printed in complimentary colors as well. Workshop Companion was one of the most fountain-pen friendly COLORS editions ever printed due to its tougher #70T paper. 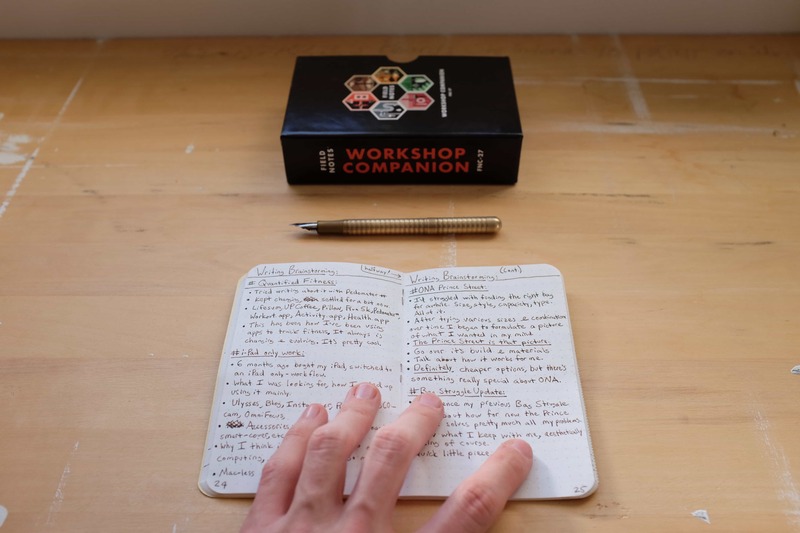 Workshop Companion’s insides brought with it Field Notes Brand’s new Kraft-Tone #70T paper. This was the heartiest stock ever used in a Field Notes memo book. Theme appropriate and a joy to use with fountain pens, the paper stock was easily my favorite thing about Workshop Companion, and made it my most used Field Notes book to date. The latest COLORS edition marked an autumn theme dedicated to the Shenandoah Valley in Virginia. 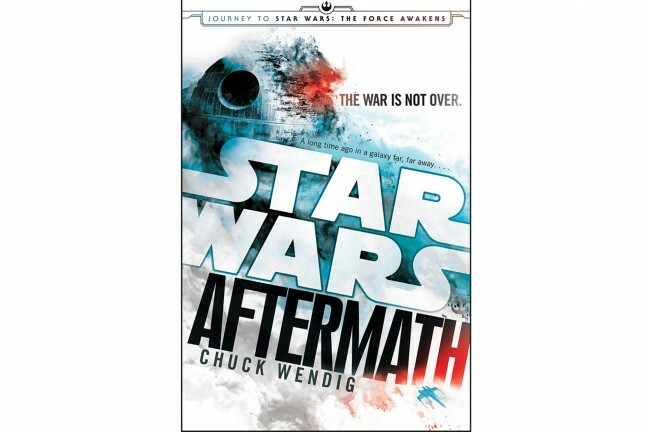 Lastly, this past fall’s COLORS release – and the newest one at the time of writing – was the Shenandoah edition. Shenandoah was a return to classic form. While it might not have been as innovative as other releases this year and while it might not have had the best paper in comparison to the stock in Workshop Companion, it was still a great edition on the whole. While the outside covers sported the colors of summer leaves in the Shenandoah Valley, the inside covers sported the autumn colors found within the valley. 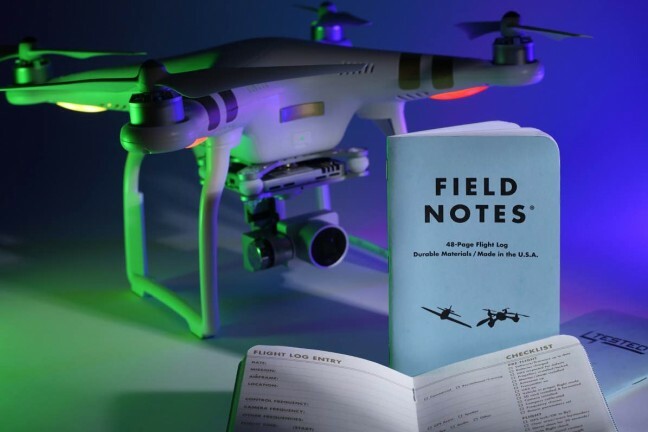 Many Field Notes COLORS editions have extra information printed on the inside back-cover or, in the case of the Shenandoah edition, on the outside back-cover. These unique “did-you-know” facts show the amount of care and thought put into each COLORS edition. Duplexed covers allowed for each book to be styled after a tree from the titular Shenandoah forest. The green leaves of spring and summer inspired the colors on the outside covers and a vibrant fall shade inspired the colors on the inside cover. It was a simple inspiration and was just enough of a seasonal theme to bring the edition together as a whole, without being flamboyant or busy. Undoubtedly, Shenandoah was a release for Field Notes die-hards. Aside from being simple and beautiful in it’s own right, Shenandoah’s classic design and beautiful colors hearken back to some of the best tri-color releases from the early days of the COLORS series. Innovative, Shenandoah was not, but I’d wager it’ll be high up many fans’ favorites lists in the years to come. 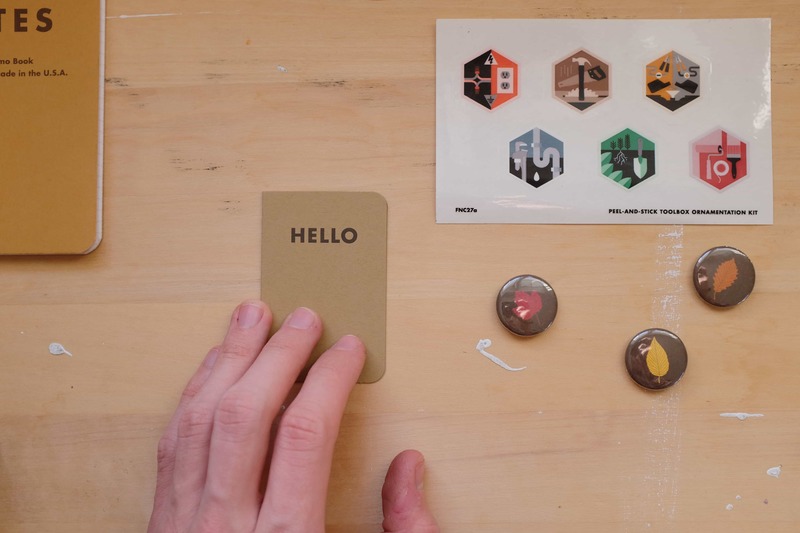 As mentioned, COLORS subscriptions come packed with a wide array of goods, like these autumn-themed buttons and home improvement stickers. 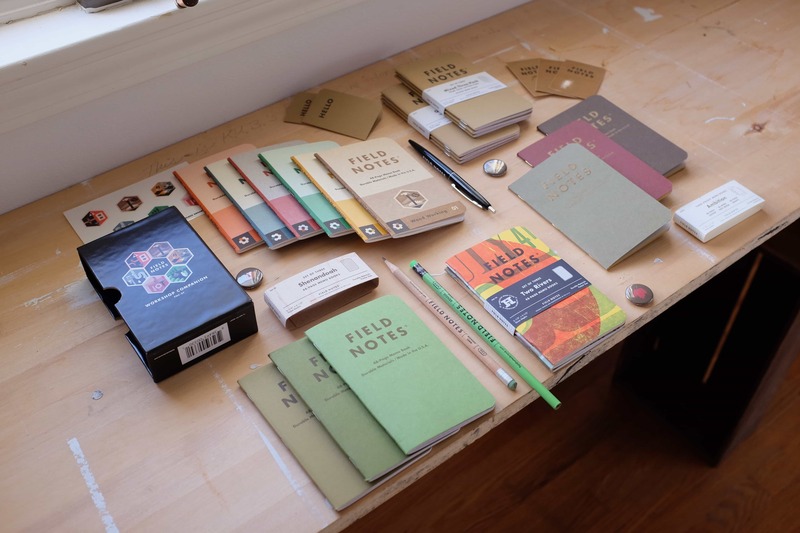 COLORS subscribers always have extra Field Notes pens, pencils, and elastics kicking around after a quarterly shipment arrives. You’ll also find extras sprinkled throughout your COLORS subscription shipments. 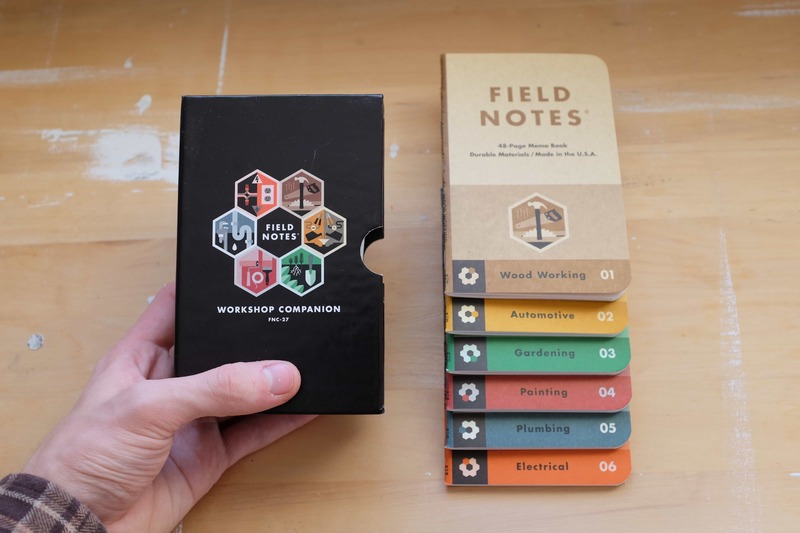 Some of these extras are release-specific, like Workshop Companion’s special six-book box or Shenandoah’s leaf-buttons, while others will be some of Field Notes’ smaller products thrown in for fun. A pencil or pen here, a 2015 calendar there — each set of extras is just another little surprise when you open up each package. 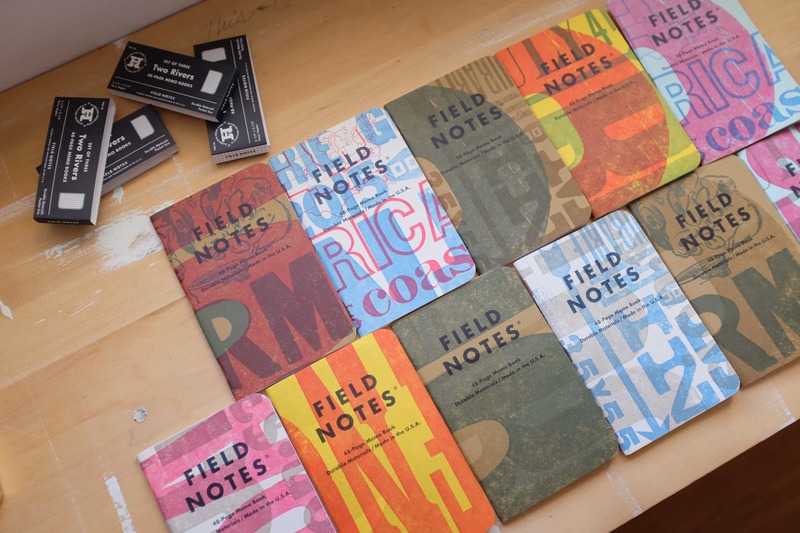 And before long you’ll have plenty of Field Notes Brand swag lying around. I was certainly asking the same question to myself last year when I picked up my first memo books. I trusted the various writers I read online who were proclaiming Field Notes’ merits, and eventually found my own way of using the books in my life. A simple memo book can really be useful if you truly give them a chance. For me — after several months of uncertain experimentation — a Field Notes memo book began to take on the role of a small daily to-do list and journal. Each day, I list out the most important things I’d like to get done and then proceed to check them off throughout the day. Further, I jot little notes or thoughts below my to-do list. I have both a digital to-do manager and a more in-depth digital journal, but the act of physically writing things out helps me to be more intentional in planning out my day. It’s nice to jot something down on paper and still manages to be the most convenient way for me to take a quick note even in this very digital age. Finally, when the day is over, I add a little sketch to the bottom corner of the page. This is intended to help me remember what happened that day with just a glance. It’s a fun little way to end the day. 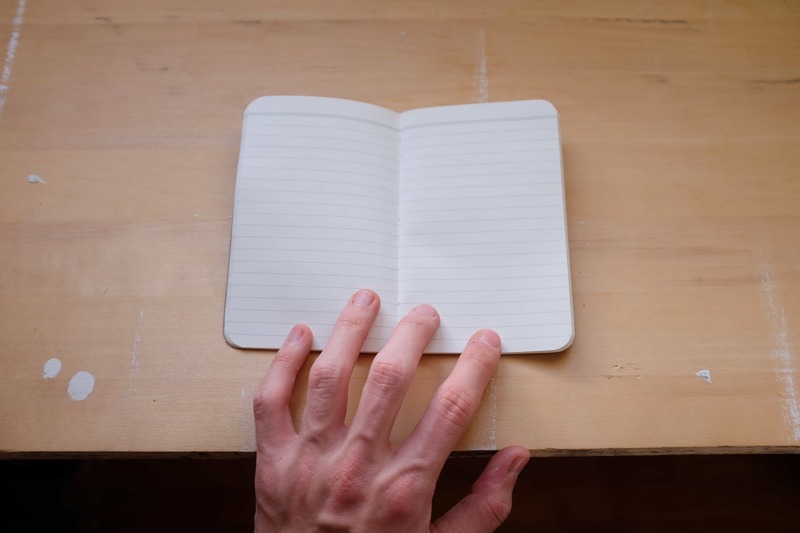 Look around the rest of the internet and it’s easy to find examples of others using these diminutive memo books in their own individual ways for scores of different purposes. 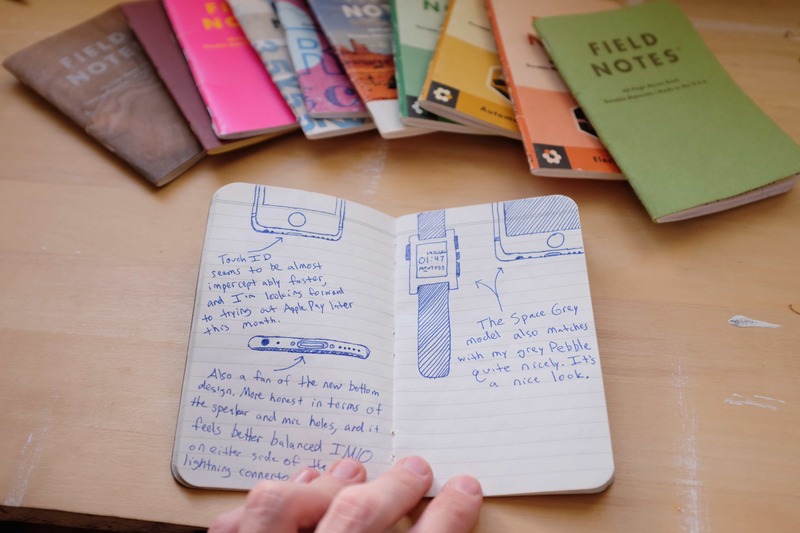 Ideation and brainstorming processes, sketching and sketch-notes, planning out events, blueprinting, keeping a ledger, taking score at a sporting event, or even things as simple as artful drawing or taking simple notes. The list goes on and on. I’ve found myself using my Field Notes for some of these other tasks occasionally, and that’s ultimately the beauty of it all. 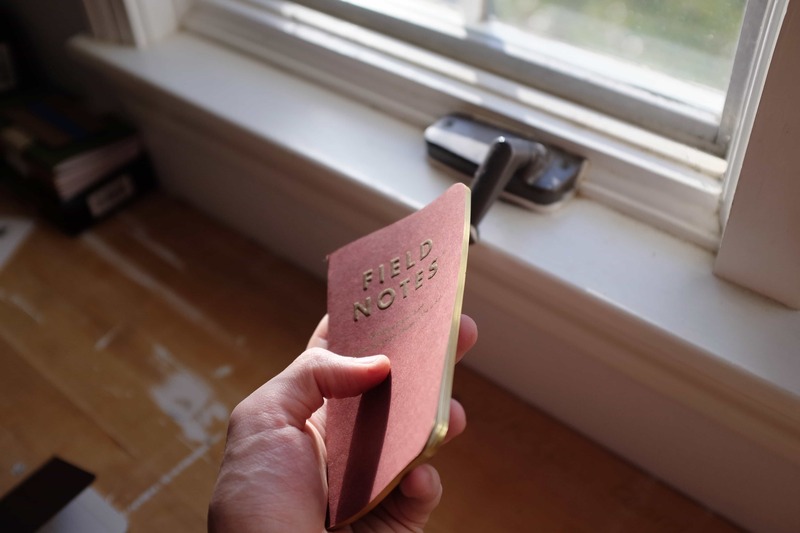 To me, Field Notes are part day-planner and journal. However, because they’re just blank books, at the end of the day, they can be just about anything to anyone. There’s no need to choose one app or system to lock yourself into — you can choose to be as consistent or as experimental as you want. If you’ve never used a notebook like this before, I recommend picking up a three pack and carrying a book around with you for a month or two. See what happens — the experimentation can be fun and you never know what kind of value they could add to your life. Although a $97 payment for a year’s supply of memo books seems somewhat odd, the amount of value received for that $97 is truly impressive. From a purely monetary standpoint, the COLORS Subscription is a good value. With a subscription purchase, you receive two three-packs shipped to you every season plus the initial stock edition for a once-a-year charge of $97. If you were to purchase the same orders each season, your total would come out to around $125. 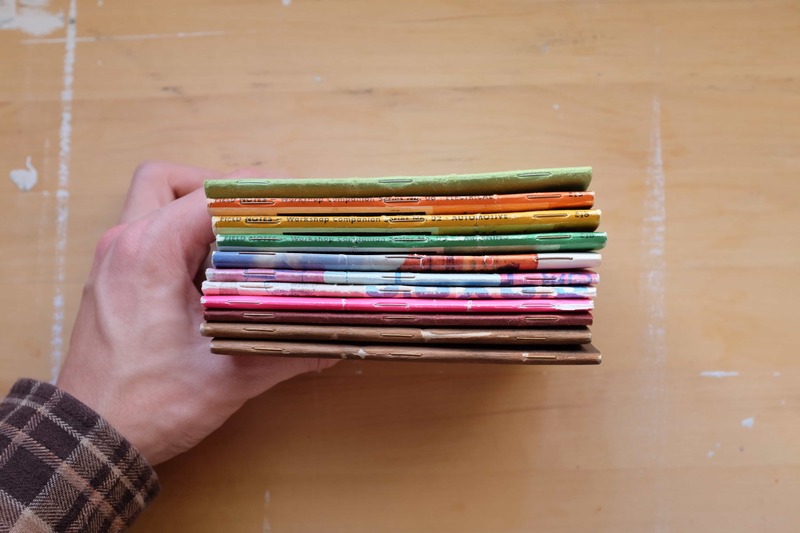 In effect, the subscription saves you about $25 a year, and that’s without factoring in the subscriber-exclusive extras you’ll receive throughout the year and the fact your books will ship out before the rest of that edition even goes on sale to the public. It’s nice to have each edition arrive a couple days early, especially at no extra charge. Put all those factors together and there’s clearly a value-add here over buying each edition separately. If you were to purchase two of each COLORS edition, two kraft three-packs, and have them shipped to your door, you’d spend around $125. Add in the extra gizmos and the fact you receive your shipment before the editions go on sale to the public, and the $97 starts to sound far less expensive. In reality, the only determinant of whether the COLORS subscription will end up being a good value is you. 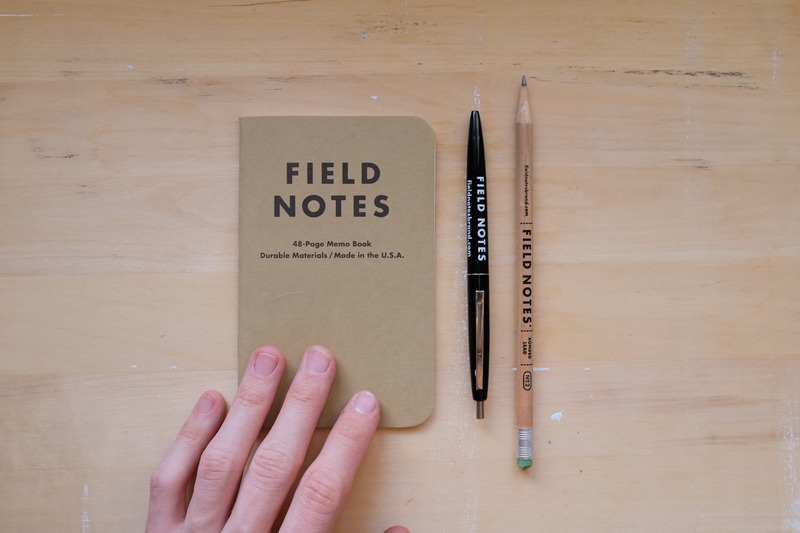 If you’re already a fan of Field Notes or other similar stationery, then I wouldn’t hesitate to subscribe. 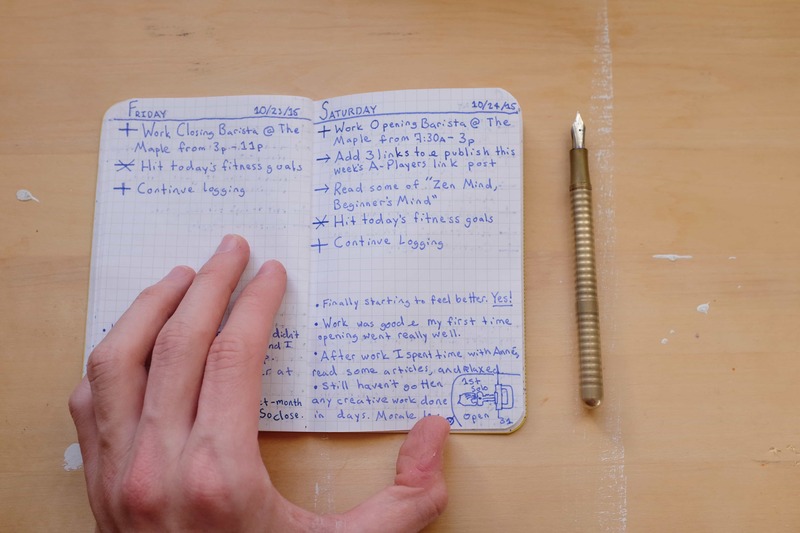 $100 might seem pricey for notebooks at first, but the numbers do add up in your favor. And having various bits of memo-book fun show up at your door every few months is just plain fun. If you’re new to all this Field-Nuttery and have never used a memo book like this before, then I recommend my prescription from earlier. Pick up a three pack and use it for a couple months. Keep it with you everywhere and try out different ways of using them. See what sticks. If it doesn’t work out, then you’re out no more than a couple $5 latte’s at your favorite cafe. 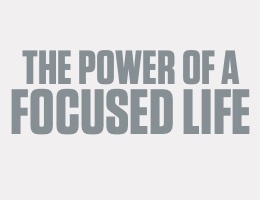 If it does end up adding some value to your life in use, then I bet a subscription will fit just nicely. There’s no telling where Field Notes Brand will go in the next year. No matter what they do though, it’s safe to say that it’ll be useful, unique, and very creative. Over this past year spent using these little books, I’ve had a lot of fun. I’m willing to wager exactly $97 next year will be a blast as well. Having a handy memo book at your side can help structure thoughts and solidify your memory, so ensure a constant supply of trusty memo books with a COLORS subscription this holiday season.